Pregnancy is such a wonderful time. The happiness you feel about carrying your unborn child is hard to put into words. However, along with the good side of pregnancy also comes the less desirable side: pains and aches throughout your body, especially in your back. If you’ve been experiencing back pain you need to let your doctor know. With your doctors consent here are five things that may help ease your pain. Many women work throughout their pregnancy or are taking care of other little ones at home. If you fall into one of these two categories then sitting or standing for an extended period of time can take a toll on your back. Try switching up your routine. If you normally stand at work ask your boss for a chair. If you sit in an office all day take a walk every couple of hours. If you’re looking after little ones then you need reinforcement. Ask a friend or family member to pitch in when your back pain spikes. Women have the tendency to want to do it all. But during pregnancy this train of thought should be prevented. If you’re in pain don’t worry about the house being a mess or the dishes needing done- rest. If you have other children ask your spouse to pitch in. You need to take care of yourself and your baby. Pregnancy can drain you of energy. Pair low energy levels with sharp back pain and rest is required. Contrary to popular belief physiotherapy is not just for those recovering from an injury. Physiotherapy can be used to treat many different types of pain. If your back pain is becoming unmanageable ask your doctor about physiotherapy. Physiotherapists can design a program specifically for you to help relieve the back pain you’re feeling during pregnancy. Talk to your doctor and get recommendations. A physiotherapy clinic like Canadian Back Institute Operating LP can work with you to help relieve your pain. When you’re pregnant your center of gravity shifts. Along with weight gain and stress this can be the culprit of your back pain. Work on your posture – stand up straight and roll your shoulders back. Resist the urge to slouch. If you pay attention to your posture during your entire pregnancy you’ll be able to minimize back pain. If your back pain is mild doing prenatal exercises can help you manage or eliminate the pain. During pregnancy there are a few basic exercises and stretches you can perform. Ask your doctor for a list of recommended exercises. If the pain doesn’t subside or worsens consult with your doctor. You may need to have a physiotherapist develop a custom plan for you. Pregnancy is different for every woman. Some women breeze right through never feeling an ache or pain. 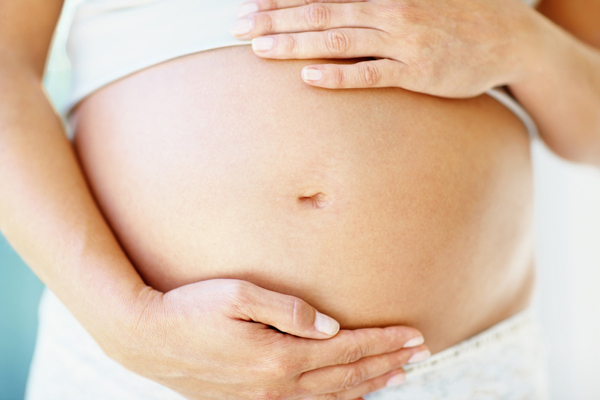 Others deal with aches and pains throughout the entire pregnancy. No matter what position you’re in make sure have a good support team who can help you out when needed. When you need to take a break, do it. If you’re dealing with constant pain consult with a doctor to see what options you have.